Stretch the possibilities of your event or business with custom-printed banners from SpeedPro. 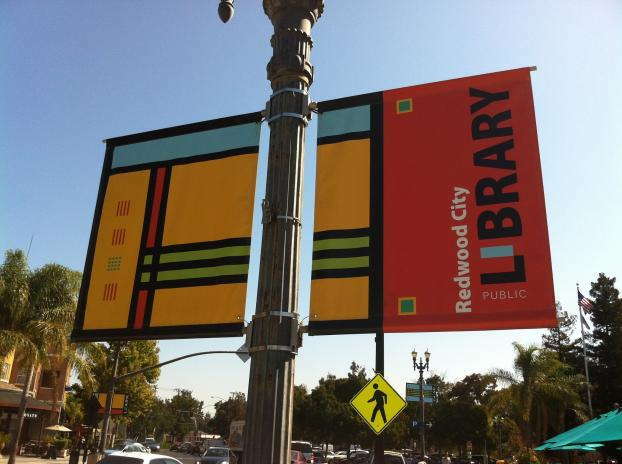 These versatile, high-visibility graphics go beyond conventional signs. Banners are bright and bold, a scaled-up surface to display logos, information, images, messages and more. Trade show booths appear elevated and engaging, corporate events on-brand and public or private gatherings enlivened — all through top-quality, made-to-order banner prints. Create your custom banner with the experts at SpeedPro. Our vinyl banner displays will be fabricated and printed to your exact specifications, fitting your exact display needs. WHAT ARE VINYL CUSTOM BANNERS? Vinyl is a synthetic material commonly used as the base substrate for a range of print jobs. 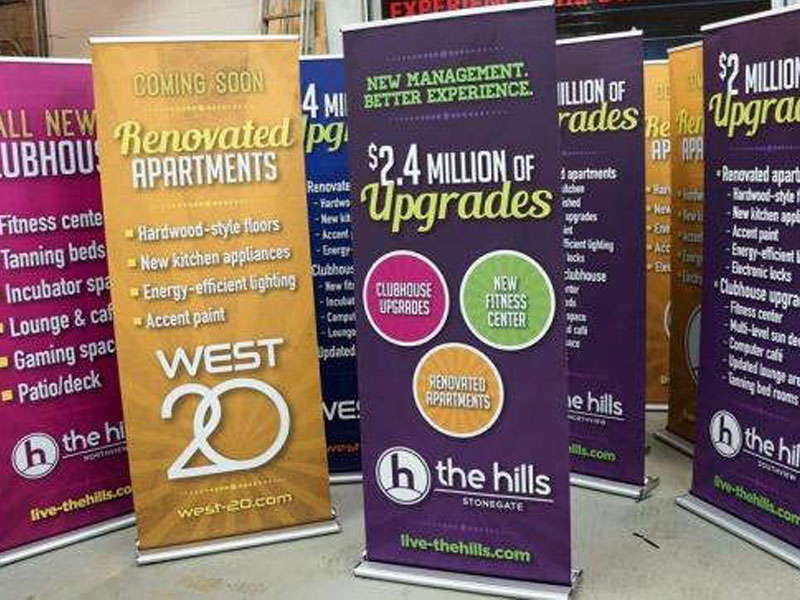 When businesses and event coordinators are in need of eye-catching displays, they choose banners — and therefore vinyl — as their medium. Vinyl supports a range of customizable print detailing that can bring this vision to life yet is strong enough to last where other signs can’t. Cast vinyl: Beginning as a liquid mixture and gradually heated into its solid, fabric-like form, cast vinyl produces a thin and hyper-flexible surface for creating custom banners. It’s a durable base that doesn’t sacrifice strength for its flexibility. Cast vinyl banners and signs can last years, even in outdoor applications frequently encountering the elements. Calender vinyl: Calender vinyl is the traditional canvas-like base for printed banners. The base material is “rolled” through printers to receive its graphics and lettering imprints. The result is a thicker (at least 3 to 6 millimeters) and more rigid substrate ideal for flat surfaces or applications. Calender vinyl is known for producing general purpose banners that won’t need to be stretched or bent to be displayed. Mesh vinyl: When the design of custom banners or signs calls for translucency, mesh vinyl is the solution. 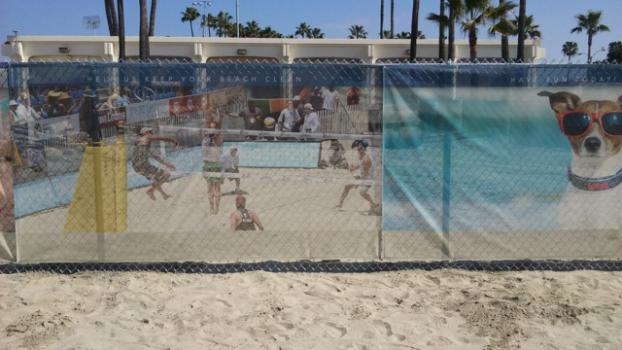 SpeedPro provides mesh banners fashioned from perforated material bases great for two-way visibility window banners, fence banners, backlit-type banners and more. Vinyl substrate choice is determined largely by installation area. In other words, where you intend to mount your custom banner is the most critical factor in deciding which vinyl base will lend the most strength, the most stability and the longest life for your display needs. WHY BUY CUSTOM BANNERS FOR MY BUSINESS? Level-up your displays — literally and figuratively — with hanging, standing or mounted banners. Here are some reasons you may want to employ these handy and versatile tools. Banners hung or placed in memorable vantages help establish brand recall, or the likelihood that in today’s barrage of marketing campaigns and advertisements, your name stays top of mind. Higher brand recall means a higher chance of lead conversion. Targeted prospects see your custom banners and more intuitively associate your name with the products and services they need in your industry. At industry trade shows or other public events, custom banners are square one in curating a branded environment that draws foot traffic. At private functions, few other displays set the tone of the space to make it as memorable. Shape: Select from rectangular, square, cylinder and shield shapes for standing and hanging banners. Size: SpeedPro routinely prints banners in various impressive sizes. Dimensions can be altered based on your specified display type. Colors: SpeedPro can use the full color spectrum, achieving mild solvent inks and true solvent inks depending on your base substrate and a few other design details. Banner colors are bright, bold and professionally hued, never appearing over or undersaturated. Laminate: Banner laminates protect the banner while adding a unique visual finish. Laminates can range from matte to high-gloss sheens specified for indoor or outdoor environments. Stand: Banners traditionally come in three forms — grommet hanging, pole mounted or inserted into a custom banner stand. You pick the display mode, we fabricate the necessary design features to achieve it. Design: Many SpeedPro studios staff in-house designers to assist you in the initial customization process. Likewise, our online banner order process makes it intuitive to upload a pre-existing design file straight to your local studio. SpeedPro prints its banner orders using only fade-resistant, full-color inks. You can select from eco-solvent, traditionally solvent or UV ink formulas depending on your substrate base and personal preference. Each option creates high-resolution images in customizable shades and hues. SpeedPro also employs color-matching technology with all its orders. Customers can rest assured that banners will be printed to match pre-existing color schemes or brand tones down to the last ink drop. This strategy removes much anxiety and guesswork from designing a business banner “from scratch” that must match pre-existing color aesthetics. Custom banners provide a strong, long-lasting way to display key business messages and make big announcements. Their base vinyl is fabricated for durability, plus it can come with a laminate finish for added weatherability, fade-resistance and waterproofing. 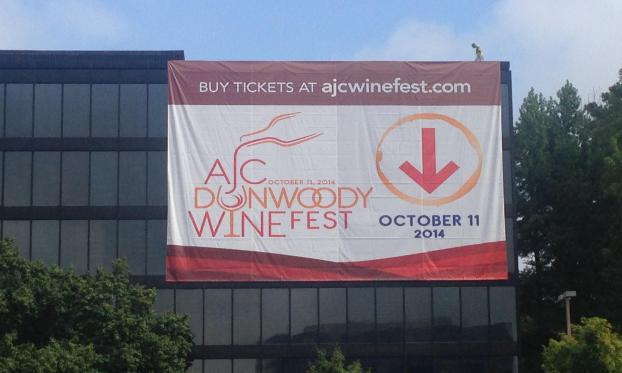 Many custom banners can last years when they’re displayed in appropriate areas. Even outdoor banners won’t see fading, spot or surface damage when they’re handled according to fabrication specs. In addition to their design flexibility, large-scale custom banners can be displayed in a number of ways. Hanging banners are a classic and high-impact way to draw eyes and attention to your unique display. The most common way to achieve hung vinyl banners is to add grommets to your design. Grommets are incremental holes cut into the vinyl that allow rope, string or similar materials to thread through, then hold and hoist the banner into its final aerial position. For an even more secure hanging method, ball bungees can be added to hanging banner orders. Ball bungees are made especially to loop through and then tighten around reinforced grommet holes, fully securing a banner to signs, poles, frames and more. Another popular custom business banner type is the standing banner. Standing banners are mainstays at conferences and trade shows kiosks as well as special event displays. Accenting whatever area they’re placed in, standing banners are surfaces that are both informational and aesthetic. They can act as welcome signs posted at doorways, relay directions, advertise products or service deals and still highlight a logo — a true display home run. Pocket banners can be hung or come in standalone form. This banner type is categorized by aluminum, steel or similar metal “arms” that insert into specially designed folds located around the edge of the banner. Once they’re inserted, the banner has the structure and ideal amount of stretch it needs to stand vertically. 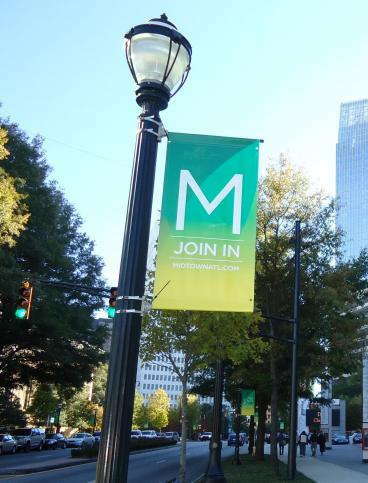 Boulevard banners, or street banners, are custom displays hung on streetlamps and posts outfitted with pole pockets. Many organizations opt for custom vinyl boulevard banners to accent their immediate environment. They add elegance and professionalism, a unique display type many cities and neighborhoods adopt to curate a more charming atmosphere. For private organizations like businesses and schools, boulevard banners add a similar touch. Mounted street banners are a great way to hang logos, display a corporate mission statement or showcase high-resolution pictures representing your institution. 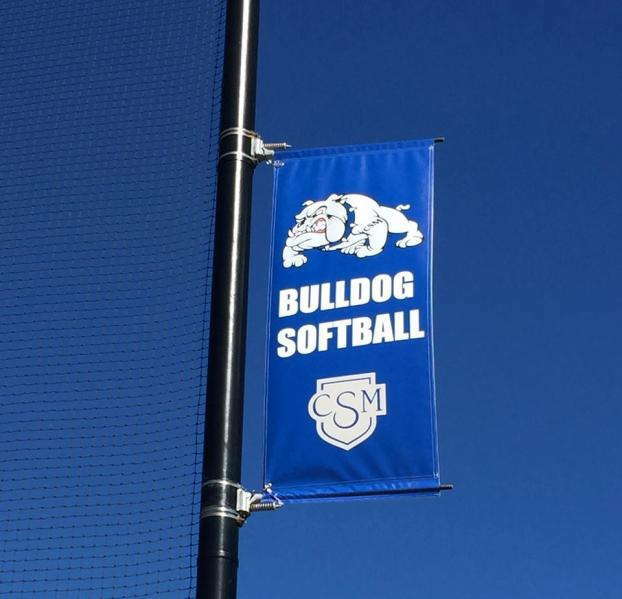 Mesh banners are printed on special, perforated substrates that allow for translucency. 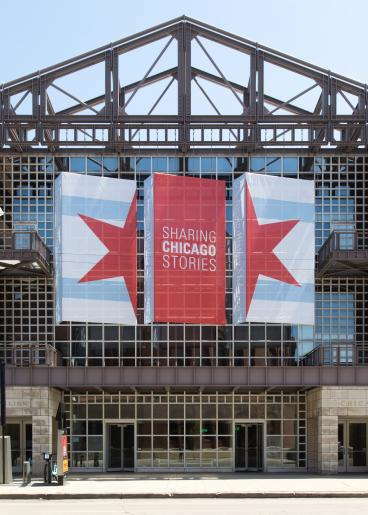 Unlike the other vinyl bases, perforated mesh banners let light pass through and can also offer two-way visibility, not obstructing lines of sight for passerbyers on either side of the banner. This design makes custom mesh banners ideal for window and fence visual displays. Step and repeat banners are staged areas where photographs are taken in front of a fixed banner backdrop. People “step up” to have their picture snapped in front of the printed banner, which is large-format and adorned with specialty graphics, images and other visual prints. 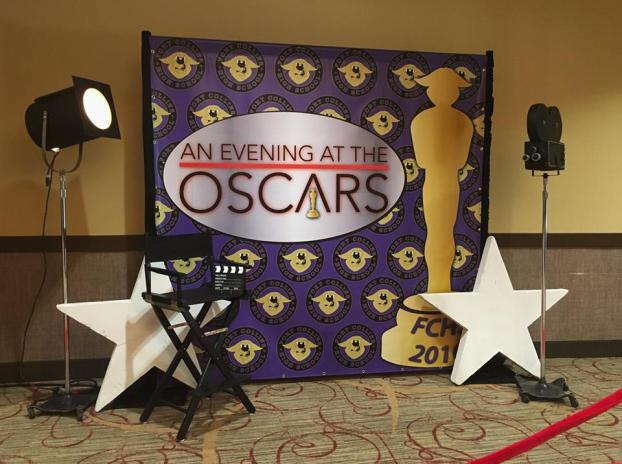 Businesses looking to spread their brand may order a step and repeat banner sprinkled with their logo for guests to snap a pic in front of, then invite them to share those photos on social media with a matching hashtag. Businesses hosting or attending corporate events and industry functions might order a step and repeat banner as a creative publicity tactic. Even private parties or gatherings may have a step and repeat banner put in place to offer a fun event experience, similar to what’s done with photo booths. These examples are just a handful of the custom banner options that SpeedPro studios produce. See the complete list of custom banners printed by SpreedPro under “What Types of Banners Do You Offer” tab in the “Banner” section of our resource center. HOW DO YOU CREATE CUSTOM BANNERS? 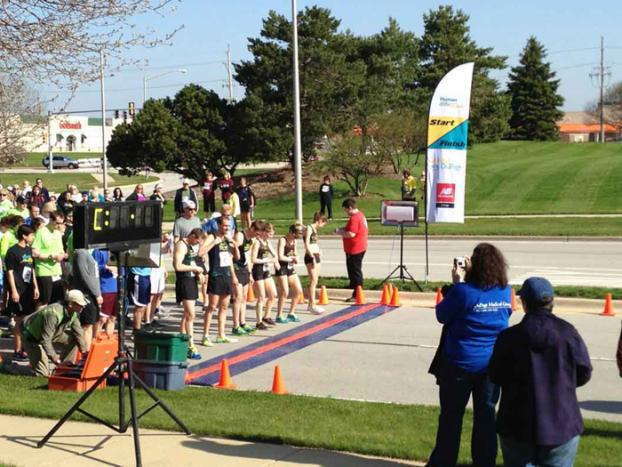 SpeedPro employs a step-by-step order process for you to design, review and finalize your custom banners online. Whether for a business gathering or a party, a public event or a private, invite-only celebration, custom banners set the stage in a way few graphics can. Order yours quickly and conveniently in three phases. Before you fill out your local SpeedPro studio’s “Upload File” form on their website (to initiate the banner), you must first select your high-resolution image and accompanying text. Use Adobe Photoshop or Illustrator: SpeedPro studios utilize Adobe Creative Suite 4 on PCs for all design work. Using Adobe programs will ensure compatible files can be shared easily between yourself and your SpeedPro account representative as well as keep image terms used during design consistent. Keep the final output resolution between 100 and 300 DPIs (dots-per-inch) at full size: This resolution will ensure a high-quality final image. Account for pockets, metal stands or grommets in your design: For stitched banners, allow a 1.25-inch bleed around the banner’s periphery. For banner pole pockets, allow between 4 and 9.5 inches for pocket-seam placement depending on pole diameter. Submit files in .tif or .eps form: Files in these formats are the easiest for SpeedPro studios digital-print system to convert. While we do accept .ai, .psd., .pdf and .jpg along with .tif and .eps, these images are harder for our system to “read,” meaning it’s harder to produce top-quality images. Also, note that .pdf and .jpg files cannot be edited on our end. Submit images in CMYK (Cyan, Yellow, Magenta and Black) mode if possible: These modes are the easiest for our system as well. Submit images in vector art mode, then raster art mode if possible: Vector images and text can be scaled to nearly any size on their own since they aren’t made up of the thousands of micro-dots that raster art is. However, image-centric banners are more commonly made from raster input, since raster allows for more coloration and resolution detailing. Create images to scale if possible: Otherwise, designate your file as a 1/2 or 1/4 scale of output size image. Provide Windows-compatible files: Again, this makes digital-to-printer outputs smoother and easier, resulting in a better final banner. Is your image file large enough? In general, the larger the original image you include in your online order form, the more SpeedPro can play with sizes and scales without sacrificing image clarity. Is your image Windows-compatible? Double check for quicker order turnaround. Did I follow the official SpeedPro guidelines under “File Image and Preparation” outlined here? Don’t hesitate to reach out with questions during your image and file preparation process. Not everyone is a graphic designer or digital artist — and you don’t have to be. Your local SpeedPro studio is glad to work with you to make your vinyl banner design process as smooth and seamless as possible so that you ultimately receive the best possible product. It’s your business. Your party. Your event. Your celebration. Create custom banners worthy of this moment — and ready again for tomorrow’s. SpeedPro is a national network of full-service, large-format print experts specializing in impact visual communications. That means we print the highest-quality, highest-resolution, longest-lasting vinyl custom banners sourced from the industry’s best materials. That’s our promise to you. Let us prove it. Competitive and always on schedule! Owner was friendly, helpful, and easy to deal with. Production and delivery times were amazingly fast. Work quality is excellent, deadlines are met and people are very nice! You guys go the extra mile and do good work.